Lines in the field drain of a septic tank can become clogged or coated with sludge. This can happen if the tank has not been maintained properly for several years or if the septic system is very old. You can clean out the lines in the drain field after you have the septic tank pumped out. Cleaning the lines can increase the life of the system. 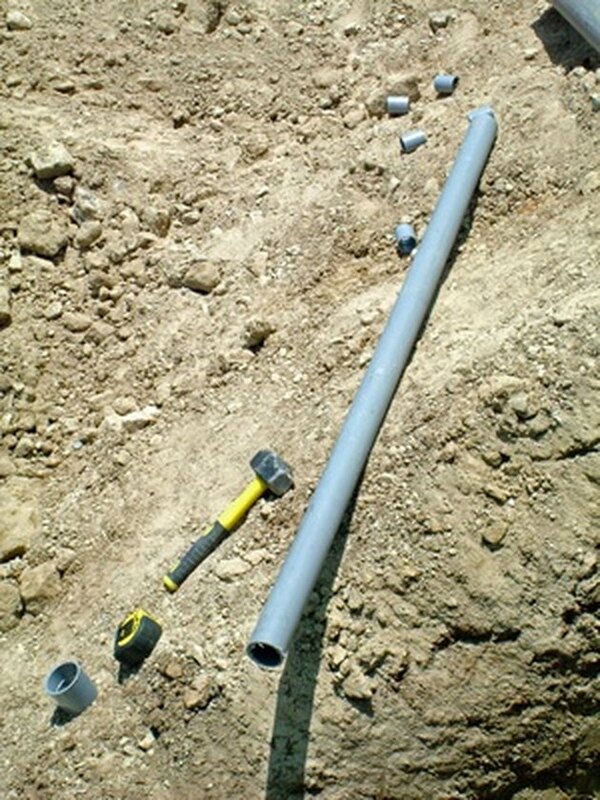 Septic drain field lines can be made of PVC pipe. Locate the distribution box (D-box) and remove the lid. Locate the lateral lines -- as few as four or as many as 12 -- going out of the box. Visually inspect each line for sludge buildup. Remove all debris from the opening of the pipes. Push a drain snake into each pipe. The drain snake should be able to pass through each pipe with ease. If you feel any resistance, the snake could be up against a clog in the pipe. Push and pull the hose back and forth until the drain snake is able to move freely without hindrance. Remove the drain snake after clearing each pipe. Fill the D-box with water and observe the water level. If the system is working properly and there are no clogs in the pipes, the water will never rise above the bottom of the lowest pipe. Push a garden hose through each pipe with the water turned on to its highest pressure and then remove the hose. Clean out any sludge that washed back into the D-box and replace the D-box lid. How Can I Remove Calcium Deposits From a Tea Kettle?